So, I'm really confused. Long weekends always confuse me. 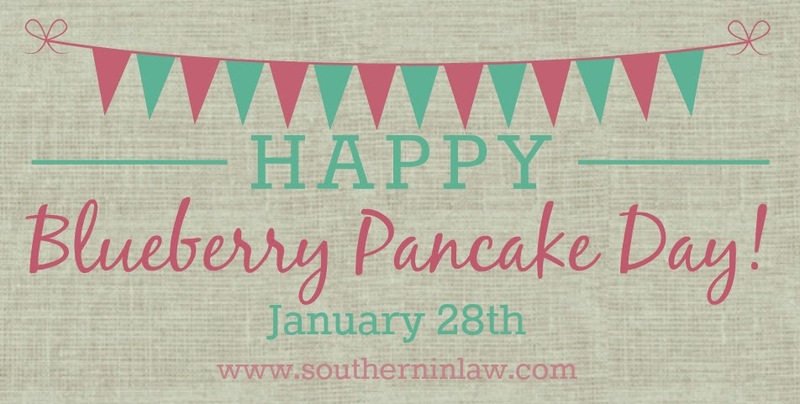 It's Tuesday, but since we had a day off yesterday it feels like it's Monday - and just to confuse us even more, I made pancakes for breakfast...... on a week day. Oooooooooh I know, living life on the edge - it's like watching a movie on a school night. But we're celebrating! 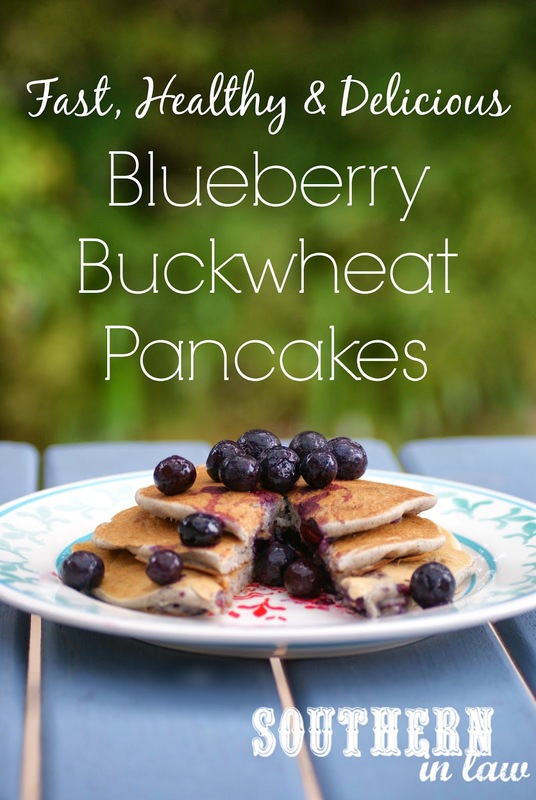 Today (January 28th) is apparently Blueberry Pancake Day and any excuse to eat pancakes is a good enough excuse for us, so I whipped up these super simple Blueberry Buckwheat Pancakes for breakfast (which were devoured in 0.000003 seconds). I don't know about you, but when it comes to breakfast, I tend to be really lazy. When I wake up of a morning, I tend to want a breakfast that's easy to make and I don't like to wait around forever to eat it. 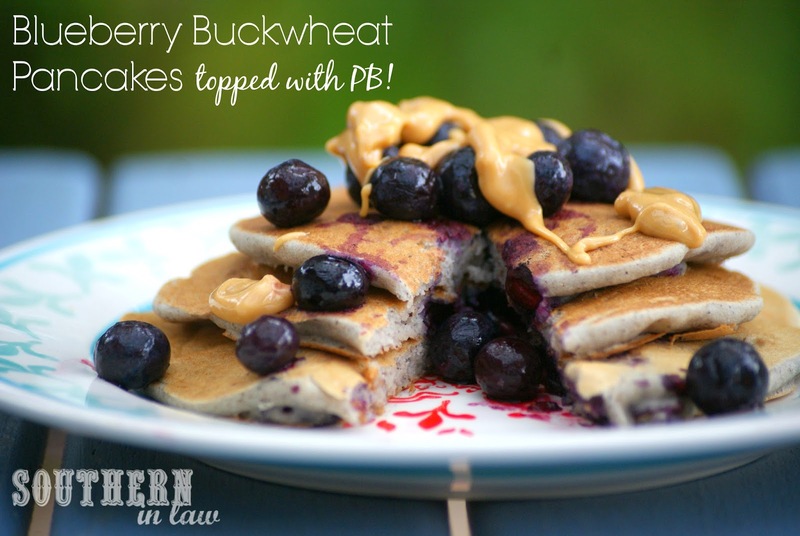 Usually I rely on breakfast bakes because I can make them up in big batches, freeze them and defrost them when I want to eat them - but these pancakes are so simple and so quick that you won't mind whipping them up for breakfast (or lunch... or dinner... or dessert... or all of the above). You can even make the batter up the night before and just add a drop more milk in the morning to loosen it up and you're good to go! How did Kristy devour her pancakes? Topped with melty drippy peanut butter, of course - Jesse went the traditional route with maple syrup. 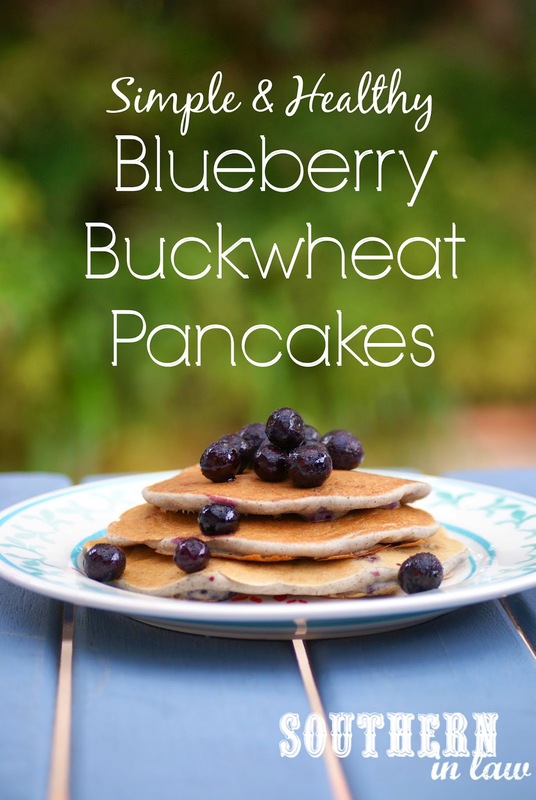 For sweeter pancakes: Add in sweetener to taste, I like them as is, but when I'm making these for Jesse, I just add ~1 tsp honey or maple syrup to his portion of the batter (which would be about 1 tbsp to the whole mix). Lightly grease a medium fry pan/crepe pan. Mix together your flours and baking powder. Mix in your wet ingredients and stir to combine. Pour your mixture onto your pan about 1/4 cup at a time, cooking your pancakes over a medium heat - flipping once bubbles form on the top and cooking until lightly golden on the other side. Repeat until all of your mix is used up, regreasing your pan if needed (or place your leftover mix in the fridge - it will keep for 2 or so days). Top with whatever toppings you desire and devour! If you don't feel like cooking all of your mix or you don't like flipping pancakes, these also bake really well as breakfast bakes. Just pour the mix into lightly greased ramekins and bake at 180°C/355°F until cooked through. But tell me, how do you like to top your pancakes? Fresh fruit and melty peanut butter are always winning toppings for me. As I don't like things too sweet, I'm not a syrup lover - but Jesse certainly is!